Hübsch rattan armchair natural - LIVING AND CO.
Beautiful rattan lounge chair with armrest of the atmosphere maker from Denmark; Hübsch. The Hübsch chair with natural-colored details has a strong frame of rattan and is great in your interior! Sold as a set of two pieces. Note: sales price is for the set of two pieces! Note: this furniture is made of rattan. This is a natural material, which means that it responds to heat and moisture. To keep the surface nicely smooth, the furniture must avoid rain, frost and heat from direct sunlight. This comfortable Hübsch sofa is made of oak and can be used as a standalone sofa or as a decoration item with, for example, a number of magazines and houseplant. Timeless Scandinavian design! 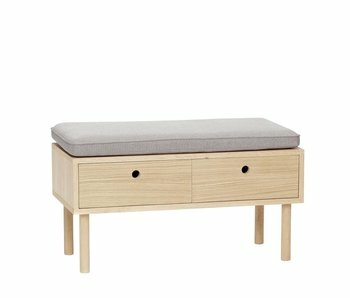 Hübsch bench with two drawers This beautiful Hübsch bench is made of oak and has a gray cushion. The bench also has two storage compartments. Handy! Beautiful chair from the atmosphere maker from Denmark; Hübsch. 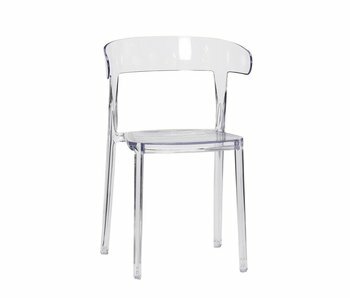 This transparent Hübsch chair is made of strong plastic and has a pleasantly shaped backrest. Sold as a set of four! Wonderful rattan lounge chair with armrest from the interior brand from Denmark; Hübsch. 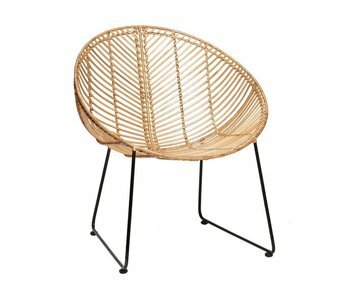 This Hübsch natural rattan chair has a strong metal frame around it is woven rattan. 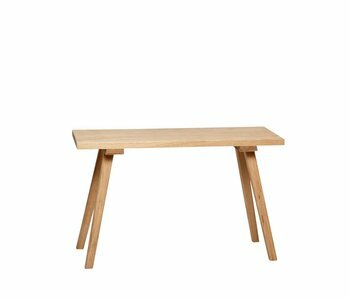 Nice to combine at the dining table in a Scandinavian interior!